Covering the sti DCCD knob? Hey all. I tried the search and couldnt find much so Im curious to see what you guys have done. 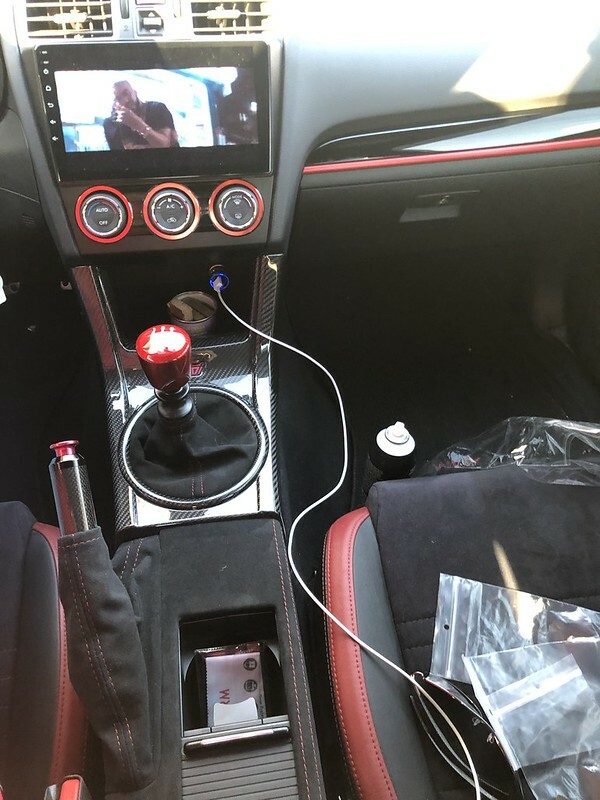 I put the sti center console in my 15 wrx and thinking of ideas on removing the DCCD and turning it into something else like a phone holder or a coin tray and what not. Has anyone here done anything like that? Is there any oem part that can replace that? Unaware of any factory part to replace that, as the console is designed around the STi. I'm sure you could custom make something, or maybe 3D print a piece if you have the means to do so. swap sti trans and put the controller in there. Where did you get that shift knob? Overland Designs also makes some really great stuff an can cover the DCCD if you want. I have the same knob in my 11 STI. Its a Raceseng Ashiko knob in Red Translucent. One of the heaviest knobs you can buy, shifts feel amazing! My center console was done by overland designs. why not get the one without the dccd? isnt the legacy or earlier sti one the same with a coin tray in front? Well if you're up for it you could cut it up and form your own tray using fiberglass mat and then paint it all again.